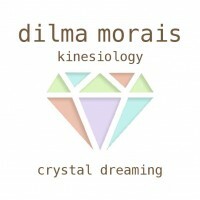 Crystal Dreaming™ is a safe, drug-free shamanic healing technique developed by Raym Richards over the past 21 years. A healing technique which uses the power of crystals to help you drop into a deep meditative state, where you can perceive past life experiences. I was fortunate to train with Raym and be his personal assistant in several private sessions. By placing crystals around the body in a unique mandala it is possible to trigger a shift in your consciousness into an “altered state” where a shamanic journey or Crystal Dreaming™ occurs. In this expanded state of awareness, after clearing negative energy and self healing, it is possible to experience a state of absolute bliss, where profound emotional, physical and spiritual healing may occur. On this journey a trained practitioner will assist with the release off all blockages, including the release of cellular memory, emotional blockages, past or present life trauma, negative energy, entities and interference from any other source. These techniques open all channels to the spirit world and beyond, facilitating inter-dimensional travel whilst remaining fully conscious (bi-location). In this state, profound, positive and immediate life changes often occur. For those who are challenged by ill health, which refuses conventional treatment, whether it be created in this life, previous lives or other realities, we will locate, diagnose and treat the cause of any imbalance or energy blockage in the first session. Results of your Crystal Dreaming™ are immediate and permanent and have to be experienced to be believed. Very few repeat sessions are usually required. These advanced techniques enable you to reconnect in full consciousness with your spiritual team or “Spirit Guides”. With their assistance you may explore any aspect of reality, you may discover your life’s purpose by integrating your Higher Self, or you may interact with other more evolved beings of light and unconditional love. You may meet with your Guardian Angel, Spiritual Teacher or the Ascended Master closest to your heart. Crystal Dreaming™ will bring clarity of purpose to your life and frequently leads to a blissful reconnection with the Divine, it presents you with a golden opportunity to consciously activate and align with your life plan or “blueprint” in service to the Divine and in a state of perfect harmony with the rest of creation. One session can achieve this. What drew me to Crystal Dreaming? I have noticed via kinesiology that many of my clients have attachments or entities in their aura. This, I know now, is very common and even though I’m able to clear them with Kinesiology, I believe its very empowering for the client to be able to “do the work” themselves. Crystal dreaming has the power to connect us with past lives events that are still unresolved and keep reflecting in our present life. Until 3 years ago, I wasn’t interested in past lives to be honest, as I preferred to focus in the present moment. What I have realised, is that we need to go back to the time of trigger to release the stress that is still affecting us. Having given more than 80 Crystal Dreaming sessions, I am witnessing the powerful healing qualities this practice offers. Words can not describe it, you need to experience it! Book Your Crystal Dreaming Session Now.